Forever 21 is one of the most recognized fashion brand in the world, headquartered in the world’s fashion capital, Los Angeles and operates in more than 820 stores in nearly 60 countries. 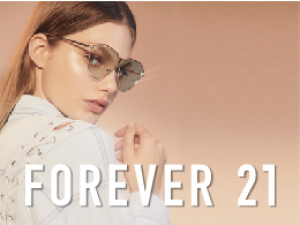 Forever 21 is a fashion retailer of women’s, men’s and kids clothing and accessories and is known for offering the hottest, most current fashion trends at a great value to consumers. 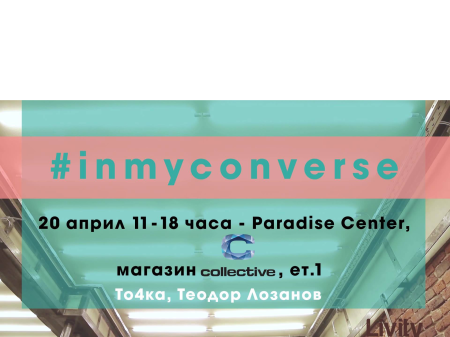 Inspired by the street fashion, music, culture and the trendiest lifestyles nowadays it is widely known for its signature style, innovative approach and as a leader of the fast fashion concept – offering huge assortment of fashion products with daily new arrivals at affordable prices. 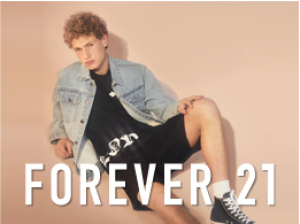 Forever 21 is not about a particular age, it’s for anyone who wants to be trendy, fresh and young in spirit. Forever 21 fulfills its promise to provide a signature style for every occasion – from your leisure attire to the casual manner. Embodies the essence of young generations and translates it for all the ages – finding inspiration in pop culture, music and street lifestyle. Forever 21 wants to inspire all customers’ shopping experience by providing a captivating and exciting store environment with a never-ending flow of fun, on-trend fashion at a great value.